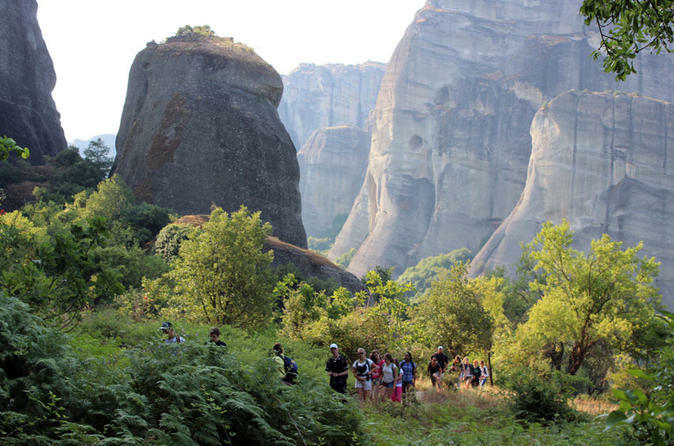 See the 'columns of the sky' where monks once settled on this 4-hour walking tour of Meteora. With a guide by your side, explore the UNESCO-listed site and visit three of the region’s remaining monasteries (entrance at own expense). 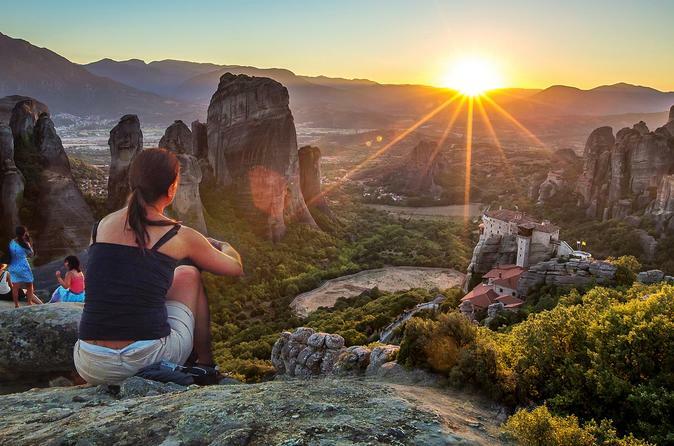 Visit UNESCO-listed Meteora on a late-afternoon and sunset tour from Kalambaka. With a local guide at your side, see the rocky landscape without its usual daytime crowds, and visit the unique cave-dwellings (or hermitages) high up in the cliffs near St Nicolas Badovas Monastery. 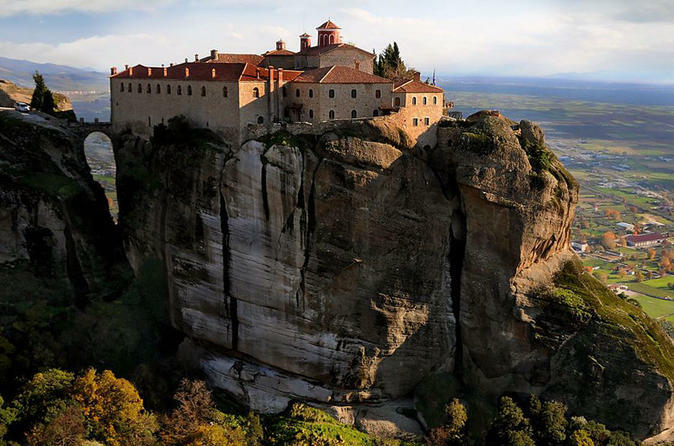 Explore a Byzantine church and one of the monasteries, too, before watching the sun slip beneath the rocks of Meteora. Explore Meteora on a gentle-paced hike, and discover the little-known trails that many day-trippers to the UNESCO World Heritage site don’t get to see. On a round-trip route from the Doupiani rock to the heady heights of Grand Meteora Monastery, pass some of the smaller rock monasteries such as Ypapanti and learn about Meteora’s intriguing rock formations and history. Hotel pickup and drop-off from Kalambaka is included. 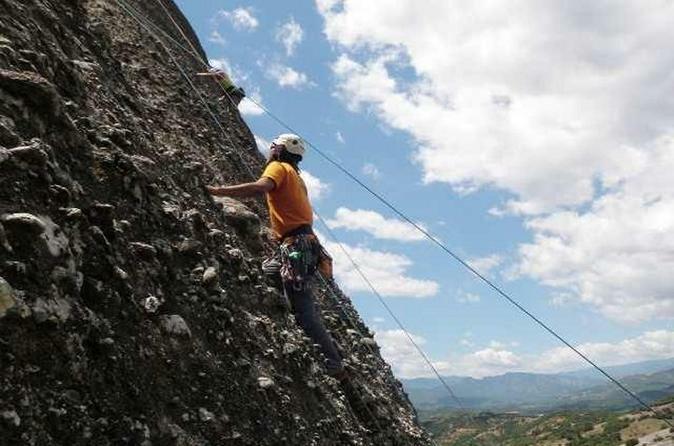 Explore the surreal rocky landscape and gravity-defying cliff monasteries of Meteora on this 4-hour private tour from Kalambaka. Choose between a morning or an afternoon experience and explore the UNESCO-list region with a private guide. Trace the footsteps of the monks and hermits who first settled in the area centuries ago as you stroll between the extraordinary sandstone pillars, before visiting two of the remaining monasteries. This is a private tour, so make the most of having a flexible itinerary with personalized commentary throughout the day. 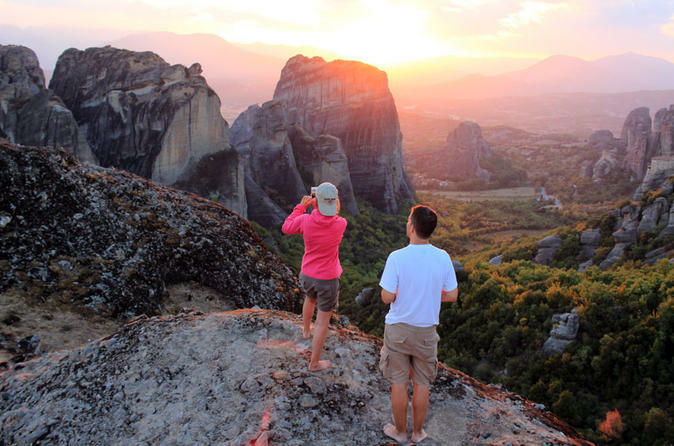 Have the chance to experience the amazing sunset in Meteora in this Sunset Meteora Tour with numerous photo opportunity stops during the excursion with our VIP Limo Mini-Bus and our highly educated Tour Leader. 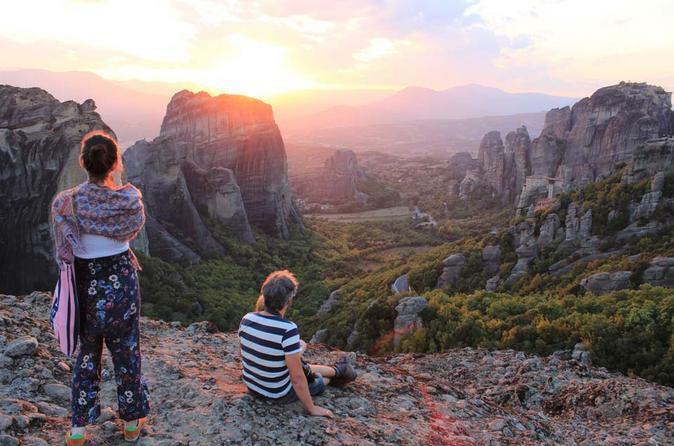 This 4-hour, small-group tour will take you to Meteora, a UNESCO World Heritage Site. 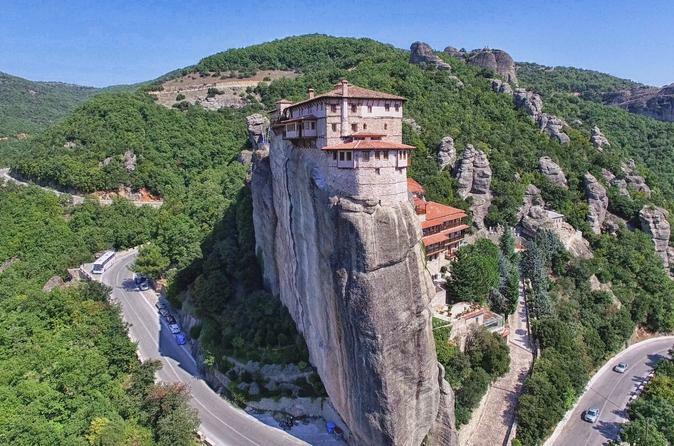 Meteora is one of the largest and most important groups of orthodox monasteries in Greece. You will have the opportunity to visit 3 of the 6 monasteries in this area. 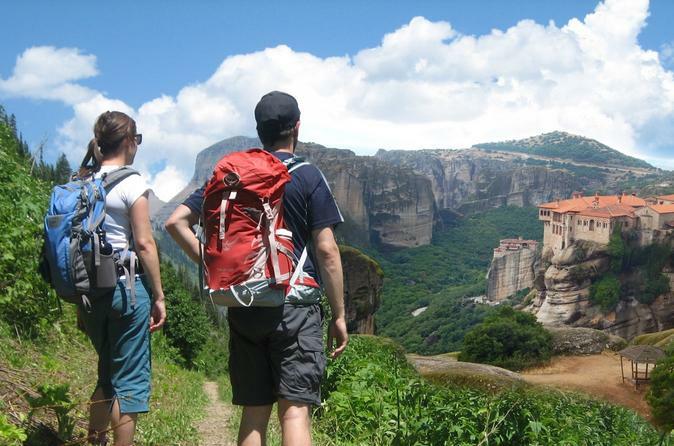 Discover the paths of the first monks and see this unique geological phenomenon walking at its heart visiting also 1 or 2 main monasteries in an amazing hiking experience in Meteora. 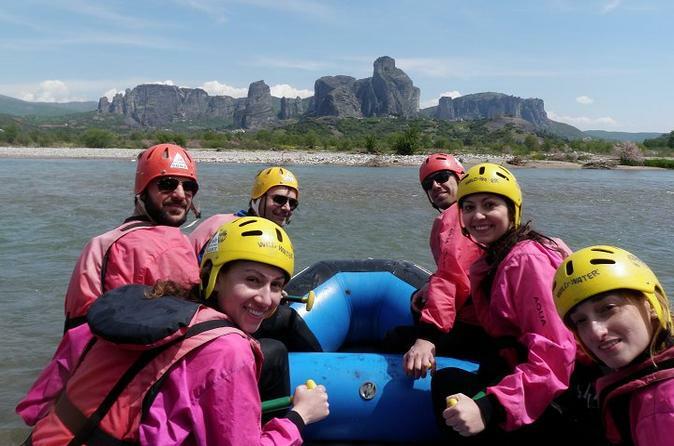 Enjoy a thrilling rafting experience In the impressive surroundings of Meteora. River Ionas flows under the shadow of the rocks (part of Penaeus River), in a unique natural landscape.Live the experience of rafting in an 8km route on the side of a forest of plane trees overlooking the rocks of Meteora. An Ideal rafting route for all ages, families and beginners with rapids of 1st and 2nd grade difficulty.